With the price of premium brass topping $1.00 per case for popular match cartridges, it makes sense to consider annealing your brass to extend its useful life. 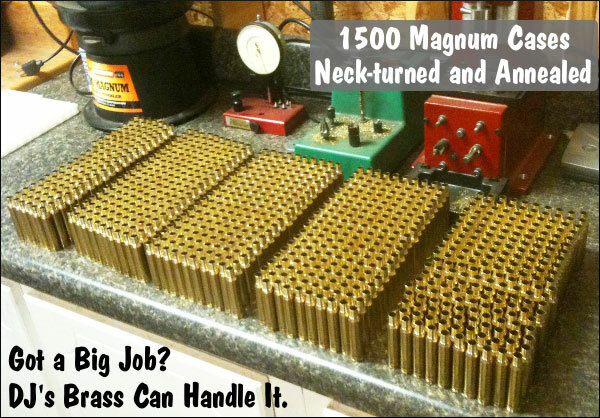 You don’t want to chuck out brass that costs a buck a case (or more)! Forum member Darrell Jones offers a full range of brass prep, brass forming, and brass restoration (annealing, ultra-sonic cleaning) at very affordable prices. Starting at just $20 per 100 cases ($25/100 for magnum cases), Darrell’s company, DJ’s Brass, will anneal your used brass using state-of-the-art Bench-Source annealing machines. 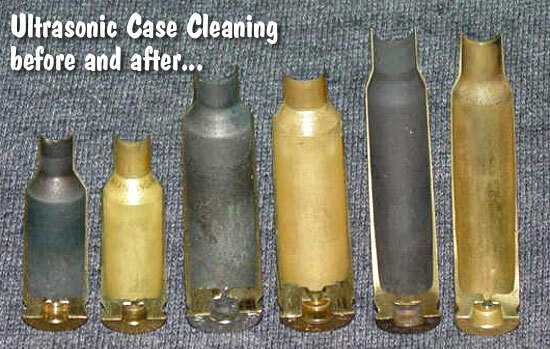 Annealing plus ultrasonic cleaning starts at $35 per 100 cases ($45 for magnum cases). For a bit more money Darrell can also uniform the primer pockets and chamfer the case necks. 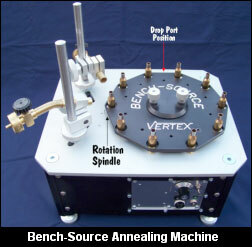 Another great service DJ’s Brass provides is precision neck-turning. Darrell can neck-turn any size case to your specified neck-wall thickness. The price starts at $60.00 per hundred for standard cases or $75.00/100 for magnum size with a $25.00 minimum order. And if you’ve got a bucket of brass to neck-turn, that’s fine with Darrell — he recently neck-turned 1500 pieces of brass for one customer! Hydro-forming by Darrell costs $0.60 per case with a minimum order of 100 pieces. After hydro-forming, Darrell can also neck-turn the case for an additional charge (call for combined quote). 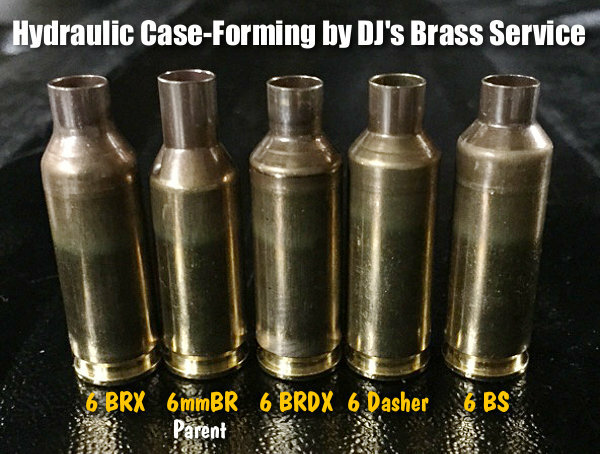 In addition to the 6mmBR-based cases shown below, Darrell can now hydro-form 6PPC cases from .220 Russian brass. Share the post "DJ’s Brass Can Anneal, Turn Necks, Hydro-Form Cases and More"
This deal makes sense for both parties. In the past 12 months, CTC earned $44 million, with a quarter of that coming from Smith & Wesson. 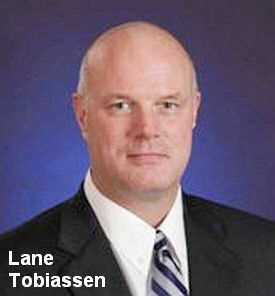 CTC President/CEO Lane Tobiassen will serve as President of S&W’s new Electro-Optics Division. The Crimson Trace management team and workforce, as well as its base of operations, will remain in Wilsonville, Oregon after the acquisition. Smith & Wesson Holding Corporation (SWHC) will purchase all of the outstanding stock of Crimson Trace for $95.0 million in cash. Founded 22 years ago, Crimson Trace is now the firearms industry leader in laser sighting system and tactical lighting. CTC currently offers more than 225 products, including: Lasergrips®, Laserguard®, Rail Master® platforms, Defender Series®, Lightguard®, and the new LiNQ™ wireless activation system. With its ever-expanding product line, CTC has generated a 10-year compound annual revenue growth rate in excess of 10%. CTC offers cutting-edge technology, including LiNQ™, the world’s first wirelessly-controlled laser + white light system. LiNQ™ combines a green laser sight and 300-Lumen LED white light for AR-Type Modern Sporting Rifles. The laser and light are controlled wirelessly via handgrip buttons. Share the post "Smith & Wesson Acquires Crimson Trace for $95 Million"
Ruger has donated $4,000,000.00 to the NRA-ILA (Institute for Legislative Action), based on Ruger’s pledge to donate $2.00 for every new Ruger firearm sold between the 2015 and 2016 NRA Annual Meetings. Ruger called this the “2 Million Gun Challenge”. During the challenge period, one of the largest distributors of Ruger firearms, Davidson’s / Gallery of Guns, also pledged to donate $1.00 for each new Ruger firearm sold through its distributorship. Davidson’s effort added more than $350,000 to the NRA-ILA cause. Both Ruger and Davidson’s have pledged to extend the challenge period through the end of October, to ensure continued support up until the election. Ruger hopes to sell another 500,000 new firearms (by the end of October 2016) with a $2.00 donation per gun. If Ruger meets its challenge, that would generate another $1 million in NRA-ILA donations, for a total of $5,000,000 for the 2015-2016 period. For more information on the Ruger 2.5 Million Gun Challenge, visit Ruger.com/2Million. 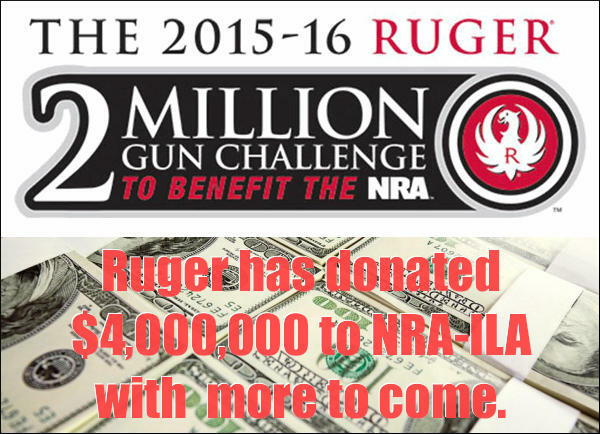 Share the post "Ruger Gives $4 Million to NRA-ILA and Pledges $1 Million More"